The Phillips' Legion, a Georgia regiment organized in 1861, contained six infantry companies (A-F) and four cavalry companies. During the spring of 1862, three new infantry companies (L, M and O), were recruited in Cobb and Bartow counties and added to the Infantry Battalion. These nine companies served as a unit throughout the remainder of the war. 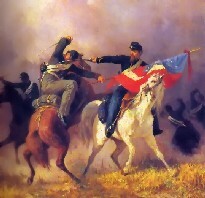 As in most Confederate "Legions," the cavalry battalions were separated early in the war (in this case, July 1862). The regiment fought in western Virginia in the Army of the Kanawha under Gen. John B. Floyd. On Dec. 16, 1861, the unit was ordered to South Carolina, where the three late companies joined it. In July 1862 the Battalion returned to Virginia and the ANV as part of Drayton's Georgia-South Carolina brigade. It was reassigned to Cobb's brigade in November 1862 and continued with the ANV until late summer 1863 when it was moved to Georgia along with two divisions of Longstreet's Corps, serving in the Army of Tennessee at Chattanooga and later in the Department of East Tennessee during the Knoxville campaign. Returning to Virginia in April of 1864, the unit again served in the ANV until Appomattox, except for a four-month stint in the Shenandoah Valley in the late summer and autumn of 1864. Unlike many Confederate units, full rosters survive for parts of this regiment. Furthermore, work has been done on these companies, by me and others, including cross-referencing the official CSA paperwork against other sources, such as United States records of surrenders and POW camps, military pension applications, hospital records, cemeteries, and contemporary newspapers. Here's what emerges from two of the better-attested companies: Company L ("Blackwell Rifles") and Company M ("Denmead Volunteers"), both from Cobb County. There's nothing remarkable about these 232 soldiers and officers, except that their paperwork has been better preserved and better examined than that of most of the other hundreds of thousands of rebel soldiers. The war had been on for almost a year when this unit began recruiting, and, as in the North, many of the men who enlisted had already seen service. At least one had been wounded at First Manassas and discharged. That's probably worth noting because of the general impression created by some people that every Confederate took every opportunity he could find to escape from duty or military service. Along the same lines, it's interesting to note that some 42 of the men in these two companies were captured by the North at some time during the war, spent times in Northern prison camps, and were then parolled, exchanged, or, in a few cases, escaped. These captures were spread out through the war: many came after Antietam and Gettysburg, many in the Knoxville campaign. The imprisonment often lasted for months; several privates captured at Gettysburg or in Tennessee in the summer of 1863 spent more than a year and a half at Rock Island or Fort Delaware, and one of them finished the war there. There was ample opportunity for these men to take the oath to the U.S. government and escape the CSA service that they supposedly dreaded. But they did not avail themselves of that. Of the 232, six were killed in action, and seven were mortally wounded. Another 41 were wounded and lived. At least six men were wounded in more than one battle. Pvt. George D. Rice of Marietta was wounded in the left foot and captured at Knoxville (Nov. 29, 1863), escaped and returned across the lines same day, was wounded again in action July 1, 1864 (location not stated); and died of his wounds July 3, 1864. One thing that emerges from studying the records of these two units is the confused state of the accounting, even in a well-documented outfit like the Phillips' Legion. This is hardly surprising, for an army losing a vast war, but it nonetheless confirms the fact that anything like "exact" or "official" numbers in the Civil War need to be taken with a big gulp of salt. A card in the record of Pvt. J.P. Dobbs Sr. of Co. M. shows him dying Nov. 13, 1862 at Winder Hospital from typhoid. But this is probably a misplaced entry for another soldier in the same company, James P. Dobbs, who died Nov. 14, 1862, in Farmville, Va., of typhoid pneumonia. J.P. Dobbs Sr. is not on rolls after July 1, 1862. He died Nov. 6, 1864, and is buried in Marietta City Cemetery. So it is likely that he was discharged in 1862. Or consider the case of Private Bryan, who was captured at Knoxville in 1863 and imprisoned at Camp Chase, Ohio. Almost a year later he takes the loyalty oath to the U.S. government. But then in March 1865 he turns up back in the uniform of his old regiment, in a Richmond hospital. Cases like Bryan's are interesting. The Confederacy, we are told, trails like chains of sins a long list of men marked officially as "AWOL," "no further record," or "deserter." Those are the ones that feed into those vast rolling figures laid out by some anti-Confederates, representing the "vast majority" of the South -- sometimes amounting to more than the entire white male Southern population -- who supposedly "voted with their feet" against the bid for freedom or the need to protect "homes and firesides." And in the case of these two companies, the record shows 75 men who "abandoned the cause" of the South. Yes, almost one third, from these two companies, feed into those massive round figures of Southern "desertion" and "lack of commitment." At least 17 of them turn up in federal records as having taken the oath of allegiance to the Union. But take a look at the full records, not just the statistics. It's something that generators of vast, round-number indictments rarely bother to do. The numbers in these two units confirm Mark A. Weitz's findings that Southern desertion rates spiked in units after their families ended up behind Yankee lines. So far from abandoning the "homes and firesides," these men likely were putting it first in their ethical calculations. The home district of these men was overrun by the Yankees at the beginning of July 1864. Taking July 2 (the day the county seat, Marietta, was occupied) as a watershed, only 16 of the 75 recorded desertions or AWOLs took place before that date. Most of them take place right after the occupation. Another spike, amounting to 23 desertions or AWOLs, dates from the final weeks of the war, in 1865, and there is evidence that many of these men either were on furlough or were victims of an understandable breakdown in records-keeping. A sergeant named Edwards is shown as AWOL as of Oct. 1, 1864, but federal records show the same man surrendered with a big chunk of the regiment at Sailors Creek on April 6, 1865, near the end of the war. Either way, they had served through three years, in many cases being wounded and captured; if they gave up, it was when the cause was undeniably lost. 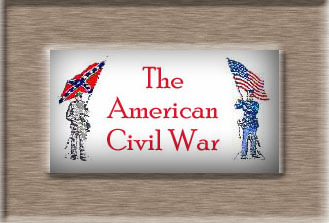 Clearly, there were some deserters in the ranks, of the kind anti-Confederates hail as the true heroes of the South. Pvt. William J. Wooten, for instance, who went AWOL May 1862 ("forged a discharge and deserted"), was captured and confined in Atlanta in December 1862, was back with the unit in March 1863, and skipped out again from a military hospital in June 1864. But at least three men were missing from the muster rolls because they were on detached duty in Atlanta, working at their trade of shoe-making, which was desperately important to the war effort. They were there until the city fell, but they are listed in the regiment as "AWOL." The army lost track of men in many ways. One private whose record ends in August 1864 had been detailed as a brigade commissary clerk and then served on the staff of Gen. Wofford. Yet he goes down in the list of "deserters" in the anti-Confederate juggernaut. Pvt. John V. Coker's last entry in the service record is from a Richmond hospital on March 3, 1863. After that, he joined the AWOL list. The Coker family bible, however, shows that he died in April 1863. Several vanish after being wounded in battle. They, too are numbered among those who "escaped from the CSA tyranny." Pvt. Henry C. Briant was wounded in the right arm at Cedar Creek on Oct. 19, 1864, according to a Virginia newspaper (it was at least his second wound), but his army record simply ends with the roll call before the battle. Pvt. Thomas J. Meek, wounded and captured at Knoxville, was paroled and admitted to Jackson Hospital, Richmond, Sept. 22, 1864. His record ends with his furlough four days later, and he joins the ranks of the "deserters;" but in fact the 1906 Roster Commission roll notes that the wound left him permanently disabled. Pvt. James H. Sauls, meanwhile, officially became a "desertion statistic" in 1862. That was after he had been wounded at Antietam, with loss of a leg. I guess he "voted with his foot." At least three men marked as "deserters" in the Tennessee campaign turned up as POWs in Yankee hands, and were imprisoned until the end of the war. Joel C. Stancell is shown on the rolls as having deserted Dec. 4, 1863, near Knoxville, Tenn.; but federal records show him captured in action in Tennessee on Dec. 18, 1863. He was imprisoned at Rock Island, and showed no affection for his new friends, since he busted out of there Sept. 26, 1864 (entry states: "escaped by placing a board against and scaling fence"). At least seven of the 75 cited above were caught at home, on furloughs, mostly after suffering battle wounds, when Sherman rolled over Cobb County. Pvt. Alexander H. Baswell, for instance, had been wounded in the hip at Chancellorsville, wounded in left foot at Cold Harbor, and furloughed home, where he was captured by the bluecoats and held till the end of the war. But the official Confederate records only show that he was AWOL after the August 1864 roll. Pvt. William M. Barber was wounded in the hand at Spotsylvania. Barber went to a hospital after his mangled finger became infected. After listening to the screams of soldiers inside who were having limbs amputated he decided to handle the problem himself by shooting off the remains of his infected finger with his rifle to cauterize the wound. He was furloughed home and captured in Macon, Ga., on April 20, 1865. Another private, furloughed home to Cobb County after suffering a hip wound in 1863, was captured by the bluecoats on Aug. 18, 1864. A third was home recuperating from a wound that cost him the index finger of his right hand when he was captured in August 1864. And what would you make of Pvt. Toliver Y. Hughes, who was marked as a "deserter" from the Phillips' Legion while home on sick leave in September 1862; but who in fact joined up there with an artillery battery, with which he served faithfully right up to the surrender at Appomattox? Is he one deserter? Or two volunteers? If you pick up some statistical abstract of the Civil War, you may find that the 97th Pennsylvania Volunteer Infantry officially reported 151 deserters. That's a firm figure. One-hundred-fifty one. It feeds into the larger stream of firm figures from which generalizations are made. This happens to be a regiment I studied extensively, at a level deeper than the official records. I got to know its soldiers as individuals. I cross-referenced their lives, from the 1860 census to the pension records to the obituaries in the local newspapers. It's not so much to my credit: They made it easy for me. They were local boys from stable families that had been on the same farms for generations. Being mostly Quakers, or raised among them, the regiment's officers had a reflexive tendency to be meticulous records-keepers. Hanging around with them taught me that once you start to consider soldiers as individuals, not as a lump sum, the stiff pictures gets less sharp, and more human. How would you count the five men in the 97th Pa. who deserted, were recaptured, and were returned to the ranks after punishment and served out their enlistments? They are not listed among the deserters. Neither are two men in Company D who were officially reported "absent sick at muster out," but were noted by their captain as deserters, "carrying away arms, accoutrements, etc." But Pvt. John O'Brine, a substitute in Company F of the 97th, is counted as one. He went missing in action at Drury's Bluff, Va., on May 14, 1864, and was marked a deserter and dropped from the company muster roll. But according to his commanding officer, he turned up as a prisoner of war in Wilmington, N.C., on Feb. 22, 1865. How would you count Harrison Taylor, who mustered in with the regimental band, but never left camp with it, and was marked upon the rolls of the 97th as a deserter. Yet he re-entered the service for three years in January 1864 as drummer in the 186th Pa., and was discharged with that regiment on Aug. 15, 1865. Or the two soldiers from Company H who were arrested in October 1861 by order of the governor as deserters from Company G of the 7th Pennsylvania Cavalry, which had been raised in the same region as Company H of the 97th. Apparently they filled out enlistment papers for one company, saw their friends going off in another, and so joined that one instead. Should they count as two deserters? Or as four volunteers? Ella Lonn concluded that the motives for desertion were similar on both sides of the Civil War. I tend to think she's right about that. The 97th Pa., the regiment I worked on, saw duty on the South Atlantic coast in 1862 and 1863, then got thrown into the meat grinder at Cold Harbor and Petersburg during the war's last year. That means it served most of the war hundreds of miles from home, with hostile territory in between, unlike the Confederate regiments that often served in their back yards. If you graph them out, the Ninety-Seventh's 151 desertions cluster into three "spikes." The first is in September and October 1861, within a month or two of enlistment, and it can probably been attributed to filtering out those who never should have been soldiers in the first place. This process affected Northern as well as Southern regiments. The third spike came at the very end of the war. That is, in the case of the 97th, between Appomattox and the end of August 1865 when the regiment mustered out. The men would have been looking ahead to post-war life, trying to re-start their lives. Confederate armies, too, bled away men in the last months of their war, when it was possible to see the end approaching. As Bill Mauldin pointed out in World War II, a soldier's worst nightmare was getting killed on the last day of a war. The middle spike is in the spring of 1864, when the "veteran furloughs" were granted to those who had re-enlisted for another year. The chance to visit home had been dangled as a re-enlistment inducement to war-weary men who had not seen family in years. Many took the bait, signed up for another year, went home, and decided to stay there. Any number of motives could have driven that decision, but one of them probably wasn't the risk of wife and children starving. The homes the 97th's re-enlistees visited in 1864 were a lot better off than those of Southern soldiers in the same months. All of this seems to suggest, to me, a pattern of desertion based on personal and immediate reasons, rather than one principally motivated by a lack of commitment to the cause or by larger political considerations. A few cases of desertion in which there are more thorough records reinforce this notion. Pvt. George W. Miles, a 22-year-old farm hand in Company D, was one of the men who signed up for another year and came back from veteran furlough. But then he deserted near Raleigh, N.C., on Aug. 3, 1865. just weeks before his regiment was to go home. Why? Capt. Mendenhall, his commanding officer, noted on his muster roll that Miles had, "Served faithfully with company three years; was in all engagements; was arrested for some act contrary to military discipline, and jumped from cars on the way to Raleigh, N.C., Aug. 3, 1865; not recaptured." Again, an immediate and personal decision, rather than a political one. This is also bolstered by the fact that desertion tended to be highest from the regiments with a reputation of being poorly led. I also studied, in detail, a local company in the Philadelphia Brigade. This four-regiment unit was made of the same stuff -- working-class Irish and native-born soldiers, recruited in Philadelphia and the smaller industrial cities in its vicinity. The four regiments in the Philadelphia Brigade served together until the very late stages of the war, fought the same battles, slept on the same campsites. Yet their desertion rate ranged from only 10 percent in the 106th Pa., to 19 percent in the 71st Pa. (California Regiment). Not coincidentally, the 106th had a reputation from the opening weeks of the brigade's term in service as the best-led, and the 71st as the worst-led, regiments in the brigade. [Gottfried, "Stopping Pickett" is a good study of the Philadelphia Brigade that I wish had been in print when I did my work on it]. "My" part of that outfit was Company K of the 71st, one hundred or so Irish immigrants or sons of immigrants from the Schuylkill River iron mill town of Phoenixville. In Company K, there were 27 desertions, a rate of 25 percent. There was no meticulous records-keeping, as there had been in the 97th, so I turned to the county relief records, on which an astounding one-third of Company K was represented. Unlike the majority of the 97th Pa., these soldiers had families at risk. The families on relief got one dollar per week for a wife or other adult dependent, sixty-five cents for each child under 12. Rates fluctuated, but generally grew smaller as the war went on, as more and more men with families were in the ranks while the county cash contribution did not keep pace. A family's relief also was slashed if a child was put out to live, or died, and wives could be dropped for "improper conduct." As early as March 1862, the Phoenixville relief directors reported to the county that many under their charge were "extremely needy, not having BREAD to eat unless given by the hand of charity." All of which gives some context to the 25 percent desertion rate, and to men like Pvt. Patrick McKenna, 39, an iron mill worker with a wife and two children on relief who deserted, came to Phoenixville, took his family and went to New York. "My dear Edward: -- I have always been proud of you, and since your connection with the Confederate army, I have been prouder of you than ever before. I would not have you do anything wrong for the world, but before God, Edward, unless you come home, we must die. Last night, I was aroused by little Eddie's crying. I called and said, 'What is the matter, Eddie?' and he said, 'O mamma! I am so hungry.' And Lucy, Edward, your darling Lucy; she never complains, but she is growing thinner and thinner every day. And before God, Edward, unless you come home, we must die." Lonn notes that "The court was melted to tears, but as was their plain duty, sentenced the prisoner to death for desertion. However, Lee, reviewing the case, pardoned the prisoner."